Ask any one person to list a few wines, and the chances are that they'll be able to reel off a fairly comprehensive list. The variety of grapes, wine-making regions and climates, soil conditions, altitude and wine-making methods are all factors that affect the taste, aroma and character of a wine. It can make homemade wine making seem a daunting prospect. But it needn't be. Making your own wine will allow you to understand the subtleties in wine making, and you should gain an appreciation for the process itself. Of course there is also the added benefit of being able to choose almost exactly what goes into your wine. Using quality ingredients from reputable sources will with the added satisfaction of enjoying something you've made makes the drinking experience all the more enjoyable! Does Homemade Wine Mean Poorer Quality? The simple answer to this question is 'no'. It may take a few attempts and some extra research though. But eventually you may find that once you master the home fermenting process, there's no reason why you won't enjoy your own wine just as much as any shop-bought product. Wine growing as a hobby and cottage enterprise has grown within the last few years. Although English wines are often joked about for their poor quality., they are actually improving and gaining a good reputation. Although to truly make wine from the most basic ingredients, you'll need acres of space for a vineyard and a processing plant, you can still try at home on a hobby scale using grape concentrate. Alternatively, you can try sparkling 'wines' from other fermented fruits and vegetables such as strawberries, elderflowers and even broad beans! 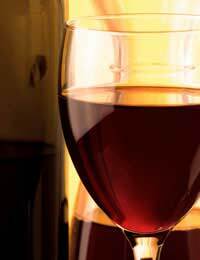 However, this article looks at how to make a simple wine from grape concentrate. To make your own simple wine at home, you'll need to buy your own grape concentrate and yeast. You can find these in specialist shops or home brew online stores. You will also need to purchase a home brewing kit. Sometimes you can get hold of 'starter' or 'beginner' kits that will include both the brewing equipment and the wine-making ingredients. You can usually buy either one or give gallon kits to get you started. However bear in mind that you may need to purchase your own fermenting sugar separately. Before you begin you must make sure that all equipment is sterile and your hygiene practices are good. Also remember that any grit or dirt will react with your fermentation process and ruin the taste of your wine. Try and keep all your equipment in an uncluttered place where all components are easily accessible, and make sure to give it a thorough clean before use. You can sterilise each part by washing them in boiling water. It's really just a case of following the instructions for your particular brewing kit and grape concentrate. The process basically consists of mixing the concentrate with the appropriate yeast in the fermentation chamber (bucket). The yeast can then be left to do its job, and before long you'll be able to bottle up and pour yourself a glass of your very own house wine! If you're feeling more adventurous, you could splash out on more select wine brewing kits. These include 'platinum select', 'premier cru' or 'grand cru' kits. These wines tend to be a better quality and are sourced from more unique regions and vineyards. They tend to have a more sophisticated bouquet and aroma compared to the cheaper budget wine making kits. If you feel your wine making efforts are a success, you can store the bottles in a cool, dark place for use as and when you require! Alternatively, they may make an interesting and unique gift to friends and family.